The youth development education program of Virginia Cooperative Extension, 4-H is rich with learning experiences in which young people partner with caring adults and volunteers in a fellowship unlike any other program available to youth today. Through 4-H, young people are encouraged to participate in a variety of activities that emphasize 4-H's "learning by doing" philosophy of youth development. 4-H provides a large variety of educational learning opportunities and experiences. Leadership, citizenship, and life skills are taught through learn-by-doing projects, local club programs, and 4-H camps, as well as at county, district, state, and national events. 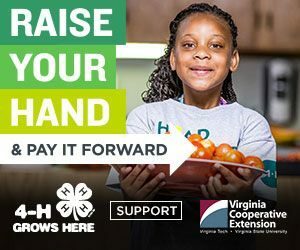 If you're interested in joining 4-H, contact your local Virginia Cooperative Extension office and ask about the 4-H program. Community 4-H clubs (9 through 18 years of age) offer a variety of 4-H projects for their members, generally meet in homes or public buildings, meet 9 to 12 months of the year, and have elected youth officers. Project 4-H clubs (9 through 18 years of age) focus on a single 4-H project or subject matter area (i.e. horse clubs, photography clubs, etc. ), generally meet in homes or public buildings, meet 9 to 12 months of the year, and have elected youth officers. In-school 4-H clubs (9 through 18 years of age) meet during school hours, are approved by the school system, and have elected youth officers. After-school 4-H clubs (9 through 18 years of age) meet after school hours, usually from 3:00 to 6:00 p.m., in a school or public building; use 4-H materials; and may or may not have elected youth officers (depending on its organizational setup, a short- or long-term club). 4-H School Enrichment clubs (9 through 18 years of age) meet during school hours and are designed to strengthen the members’ knowledge of school subject-matter areas, thus complimenting what the school is teaching. The club may or may not have elected youth officers (depending on its organizational setup, a short- or long-term club). Cloverbud 4-H groups are designed for youth 5 through 8 years of age who are introduced to 4-H through special learning activities designed for their age group. There are no elected youth officers and no competitive events for Cloverbuds. The five through 18 years of age designation includes youth who will turn five during the 4-H year (October 1 through September 30). Eligibility for 4-H membership terminates on December 31 of the year the member has his or her 19th birthday. 388-584 Move Over World We're Making Changes! 388-038 Nomination Form For Officers of the VAA4HVL, Inc.
You are more than just a volunteer in 4-H — you are instrumental in inspiring the next generation. More than 14,000 volunteers worked with Virginia youth last year — helping them learn by doing. In 4-H, you can help youth have opportunities to master life challenges, cultivate independence with guidance from caring adults, gain a sense of belonging within a positive group, and share a spirit of generosity with others. The valuable work of 4-H is enhanced by school, community, and corporate partners who have made a commitment to youth across America. Together we are developing cutting-edge opportunities and providing high-quality experiences for youth to learn leadership, citizenship, and life skills. 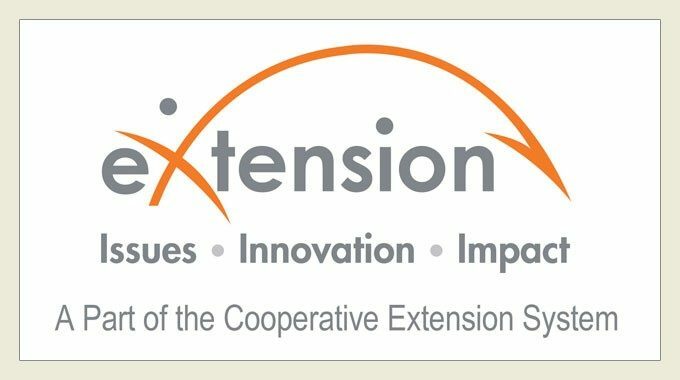 To learn how you can partner on a project in your community, contact your local Extension Office. If you would like to explore a state programming partnership, please contact the State 4-H Office. The State 4-H office is located on the campus of Virginia Tech in Blacksburg, Virginia. The State 4-H office is located on the campus of Virginia Tech in Blacksburg. Directions to Virginia Tech. Media inquiries should be directed to our Communications and Marketing office at 540-231-5863, or visit our news page.